千里香肉骨茶is newly open beside the famous hawker stall at New Lane, where lot of people like to visit as that hawker area has huge range of selection and delicious food. 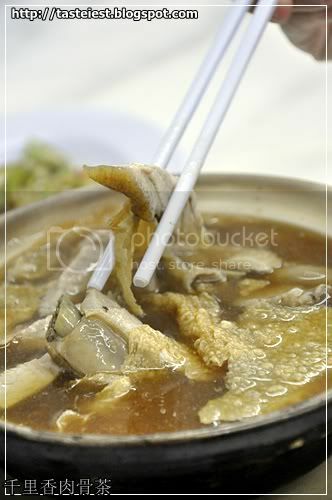 千里香肉骨茶 not only offer plain Bah Kut Teh instead they have other dishes as well which is great. 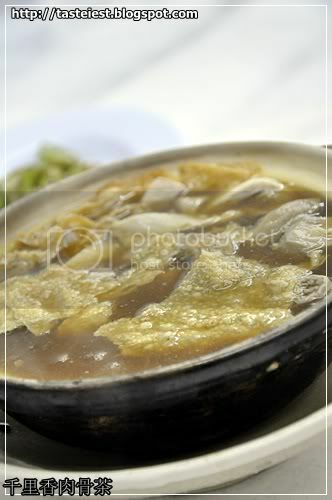 Bah Kut Teh is a Chinese herbal soup with port meat and intestine. popularly served in Malaysia, especially Klang where a town that has over 100 stall selling Bah Kut Teh and it was a debating origin either from Malaysia or Singapore. Anyhow it was pretty different in term of taste for Singapore vs Malaysia or to be specific Klang vs Penang, I personally prefer Penang version as I always proud with Penang Food. What make Penang different from Klang is Penang has stronger herbal taste while Klang is more toward fresh meat taste so it depend on what you up to. 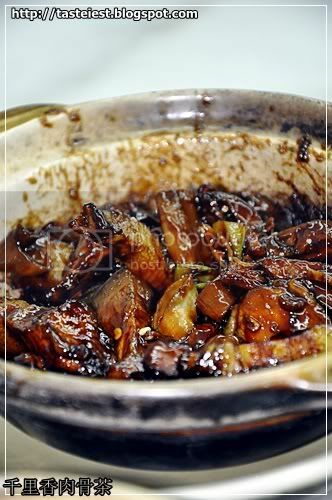 With over year of revolution, Bah Kut Teh as well come to a revolution that soup Bah Kut Teh turn into dry version which gave it another new life which offer a totally different taste and texture. 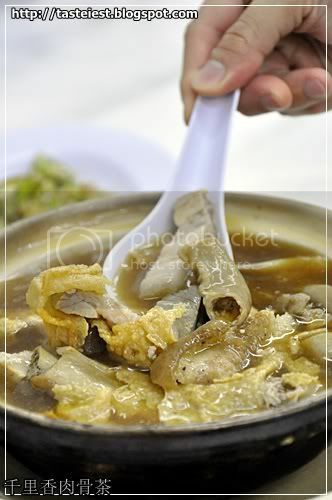 Dry Bah Kut Teh has stronger taste from long hour of cooking to dry making the ingredients absorbing all the flavor from soup, it make the ingredients taste even better. 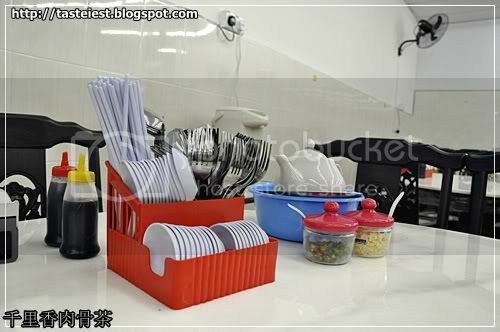 千里香肉骨茶 restaurant is very spaces and clean with lot of table fit in. 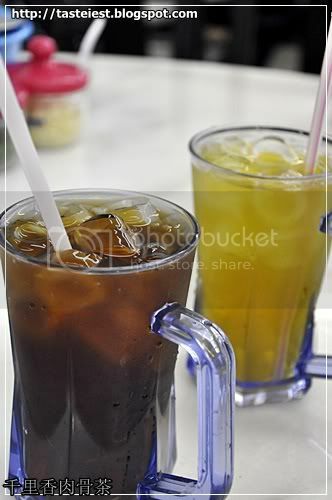 Longgan and Chrysanthemum Drink RM1.50 each. Stir Fried Lady Finger with Dry Shrimp RM7, lady finger nicely cook to remain the crunchiness and the extra dry shrimps making it taste even better. Bah Kut Teh RM9, strong herbal soup with pork ribs, pork stomach, pork liver, tau ki, mushroom ..etc is served in the small claypot. Taste not bad. Dry Bah Kut Teh RM10 is another favorite dishes from us, it was cook with lady finger, dried chilies, dried cuttlefish and some secret seasoning. 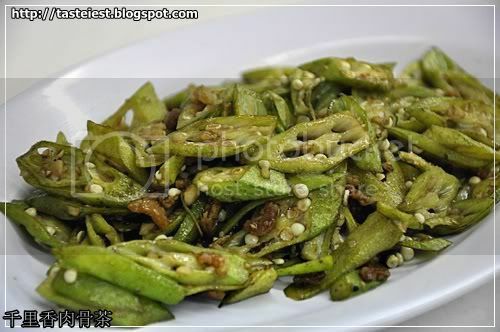 It was a little bit sticky due to the lady finger and dried cuttlefish fragrance with some spiciness from dried chilies which make a bowl of Dry Bah Kut Teh, same ingredient such as pork ribs, pork meat, pork stomach…etc. Compare to soup version, it has stronger herbal taste and taste even better. Overall taste not bad and value for money.